The Dalai Lama was in attendance at the event held in McLeodganj to mark the 60th anniversary of the Tibetan spiritual leader’s arrival in India. 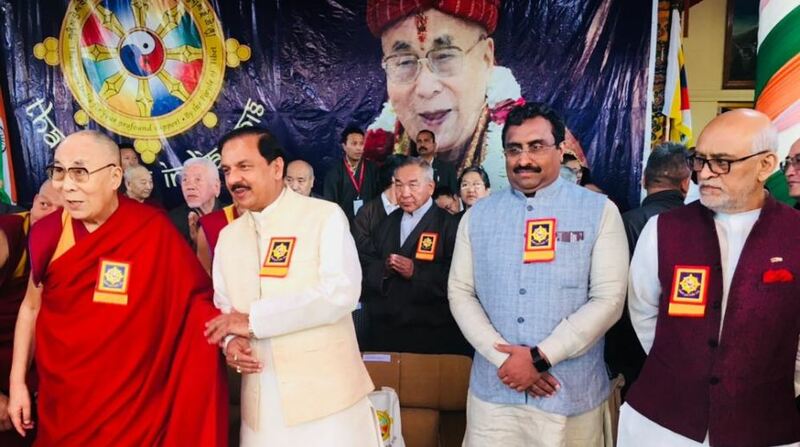 Bharatiya Janata Party (BJP) national general secretary Ram Madhav and Union Culture Minister Mahesh Sharma were among those who attended the ‘Thank You India’ event organised by the Tibetan government-in-exile on Saturday. At the event held in McLeodganj to mark the 60th anniversary of the Dalai Lama’s arrival in India, Madhav said that Tibetans will always find themselves at home in India as China continues with its ‘One China’ policy. In the presence of Nobel Peace Laureate the Dalai Lama and functionalities of the Central Tibetan Administration (CTA), comprising its President Lobsang Sangay, Madhav said that India doesn’t want to use the word “refugee” for Tibetans. “Friends we don’t want to use the word refugee (for you). This is your land. At the most, you are in exile and Tibet is waiting for you,” he said adding that India has with an open heart also given shelter to the Parsi community and to everyone in distress. Similar sentiment was expressed by Sharma. “It is indeed an emotional moment for us, the word ‘refugee’ is painful to be used for anyone, anywhere. Tibetans are our friends and esteemed guests in India,” he said. “We can understand the life of a refugee with the loss of livelihood and the life is in struggle,” said Madhav. He added that peaceful and democratic means of dialogue should facilitate the honourable return of Tibetans to their homeland. In his address, the Dalai Lama said that when he came to India he felt that the two lands had the relationship of guru and shishya – a relationship, he acknowledged, continues to this day. The attendance of the BJP leaders and ministers, along with MPs Shanta Kumar and Satyavrat Chaturvedi, sent a clear signal to China that there has been no change in New Delhi’s Tibet policy. 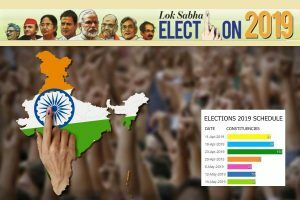 Reports had previously stated that there was uncertainty over the participation of BJP leaders and ministers at the event. An advisory was reportedly issued to “senior leaders” and “government functionaries” of the Centre and states saying that participation in the events is “not desirable”. But the MEA had later clarified that its position on Tibet remains “unchanged”. On 31 March 1959, the Dalai Lama escaped an invasion of Tibet by China along with many of his followers. They entered India through the Arunachal Pradesh border and later settled in Dharmashala in Himachal Pradesh.